Some information about the 2015 NISMO Nissan GT-R has been leaked a day earlier than its official release. GTR Otaku, though Car and Driver, say the NISMO R35 reached a Nurburgring Lap time of 7:08:69. 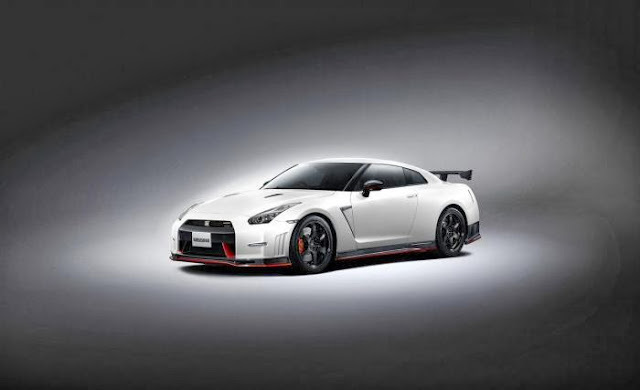 The 595 horsepower/ more than 480 lb-ft NISMO, in addition to the revised aero parts (which take off 143 lbs), gets new turbochargers from the GT3 GT-R, new intake and exhaust systems, revised ignition timing, and a new oil pump. There are several chassis tweaks, new wheels, and changes to the suspension. The track package gets manually adjustable Ohlins coil over suspension. 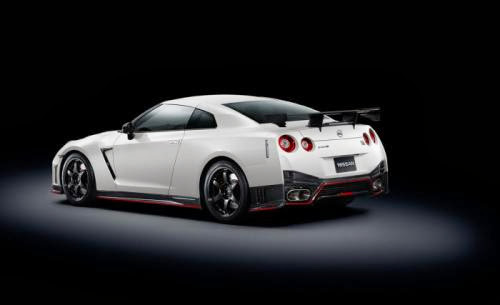 Expect to see the NISMO go on sale in February 2014. The car sits on 20-inch wheels fitted with 255/40RF-20 Dunlop SP Sport Maxx GT tyres, which are said to offer more grip than the standard items. This is a little odd. The stock cars have a 255 front with a 285 rear. The NISMO has a 1/2 inch wider front wheel. Perhaps just a mistake. 285's all around? So the NISMO with the track package did the 7:08? We saw several rear wings on the camouflaged cars at Nurburgring, so are we going to see two times? One for the NISMO, one for the NISMO with track pack?